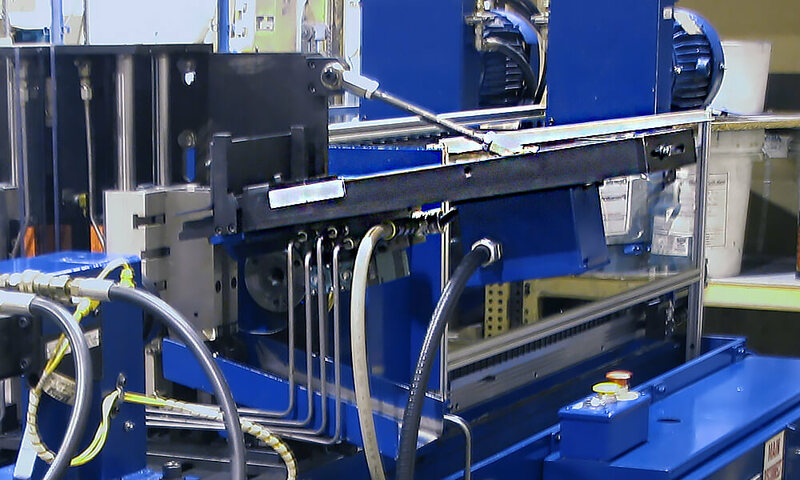 When automation requirements are specific to a machine configuration or application, custom automation capabilities are used to meet demands of production. These capabilities are based on proven automation technologies, configured and programmed to handle deep hole drilling challenges such as extreme length parts, strict tolerances, and fast throughput. 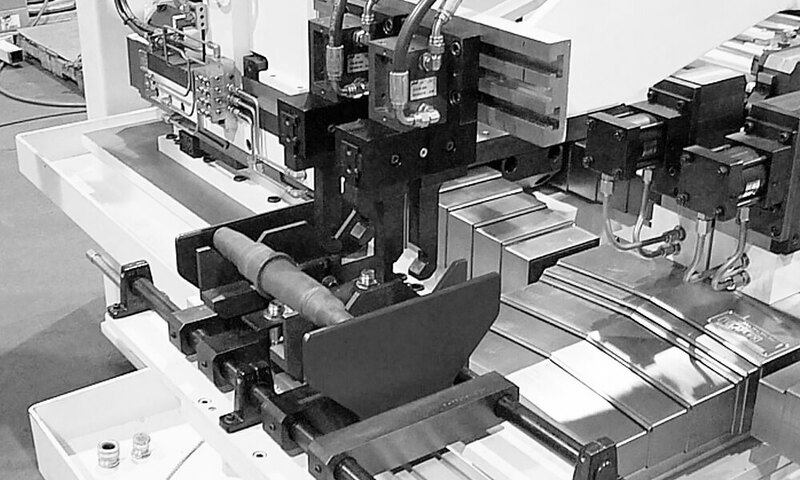 Pneumatically or hydraulically driven pick and place units are used to handle parts on multi-spindle drilling machines, increasing productivity with ease and affordability. Odd form parts can be handled with pick and place, easily automating complex drilling operations. Automation is not limited to smaller components. 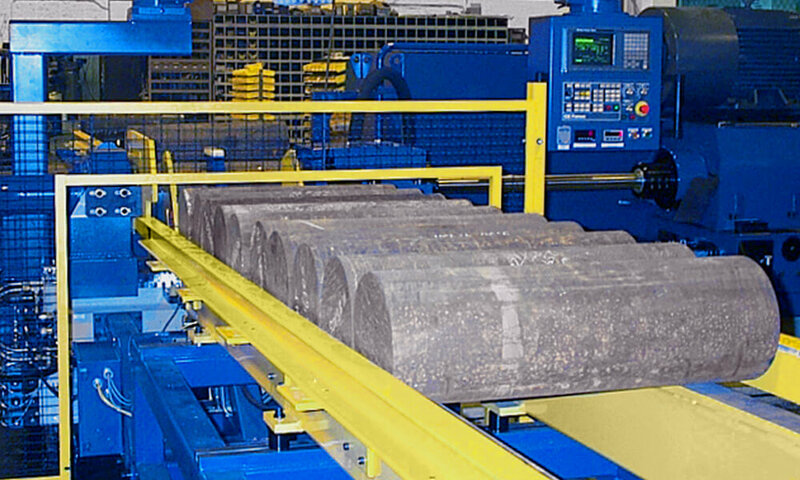 Large and heavy workpieces are easily handled with heavy part loading automation, increasing productivity while reducing the efforts needed to transfer and load parts of this nature. 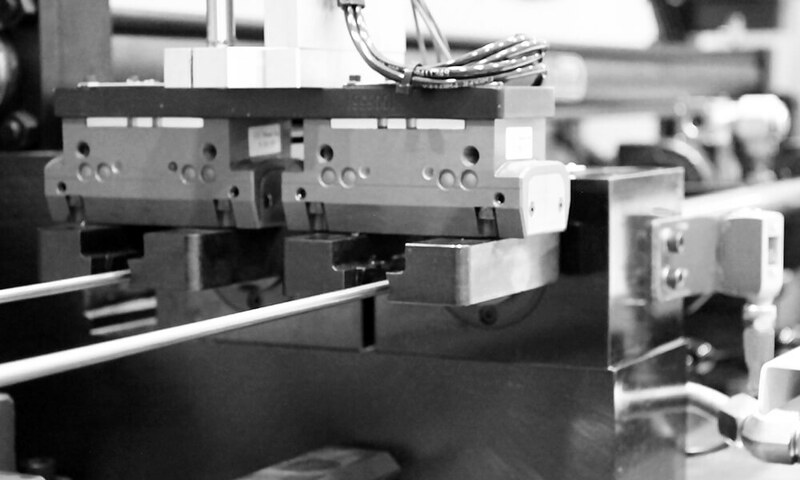 Small, uniformly sized components can be quickly transferred through the drilling operation with magazine loading automation, quickly speeding up the production process with minimal investment. 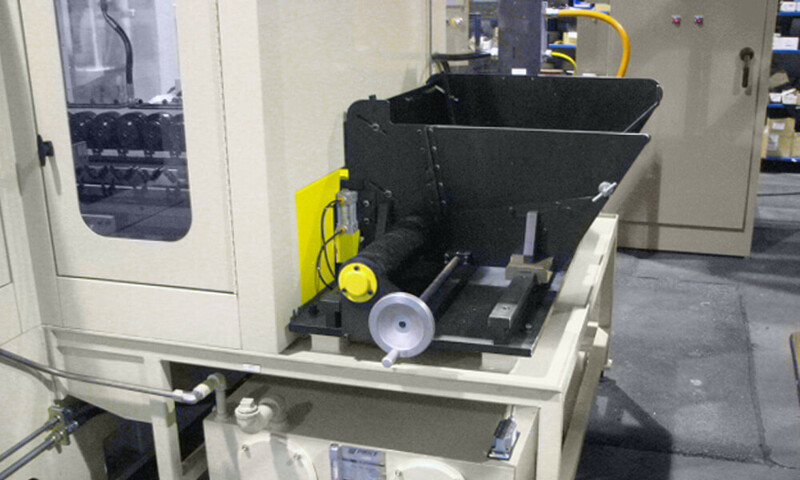 Bulk feeders allow unattended operation for high-volume production facilities. This feature allows many parts to be loaded into a machine, and can be programmed for sorting and orientation, further reducing manual intervention while maximizing productivity. Request information on custom automation, or submit your application for review.